City of Kemah Visitor’s Center is the hot place to get all the information that you need while visiting Kemah, Texas. They have maps, brochures and ways to get around the area while traveling. The Visitor’s Center also provides the latest information on where to stay, upcoming events in the area, great places to shop and the best places to eat and have a good time with friends and family. The Visitor’s Center was looking for a solution to provide information to their visitors using an outdoor interactive kiosk that could also drive digital signage for their partners to display marketing messages. The kiosk needed to be robust enough to sustain the outdoor elements of the gulf coast and operate 24/7. 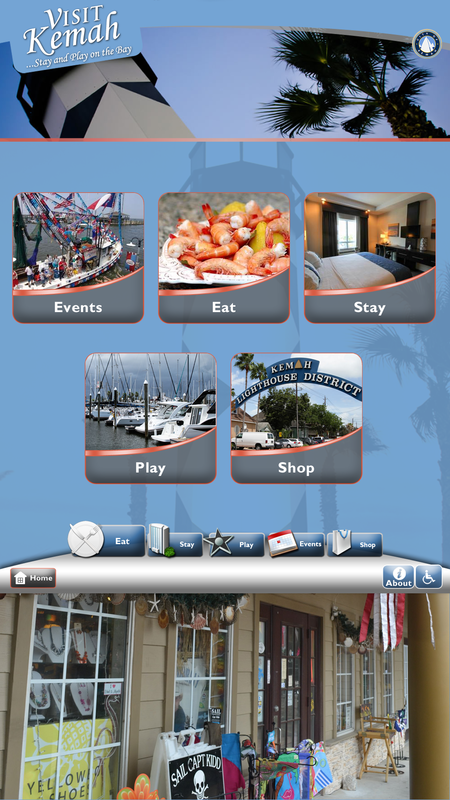 Kemah wanted to be able to display and organize all their brochure information for shopping, restaurants, hotels, events and attractions by category in an easy-to-navigate fashion. In addition, they wanted to provide an interactive way-finding solution for visitors to find their way around the Kemah area. 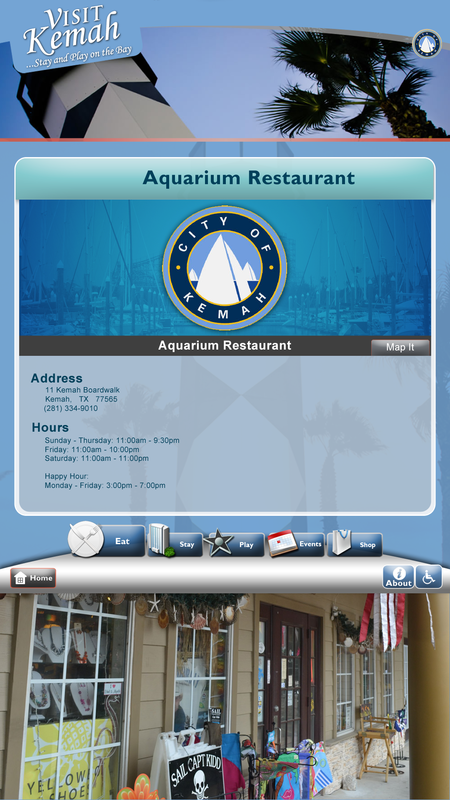 One other important element for Kemah was to have the ability to update the information on the kiosks easily and in real-time. The center contacted Livewire Digital to provide the solution they were looking for. Livewire had the perfect kiosk software solution with their eConcierge® platform which also supports digital signage and a real-time content management system (CMS) to support all the requirements needed for the interactive outdoor kiosks. 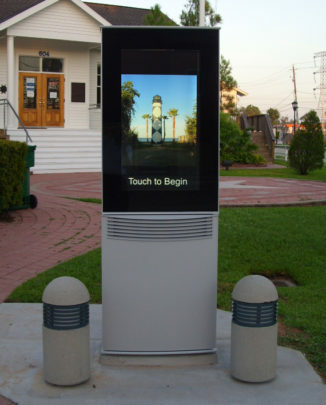 Livewire Digital contacted EuroTouch Kiosks to provide the outdoor kiosk hardware that would withstand the moist gulf climate. The kiosk was designed to support a 42” portrait interactive touch screen display to deliver an easy to use, engaging customer experience in an outdoor environment, while adding flexibility and efficiency to management of the system. Livewire Digital’s eConcierge® platform provided the foundation for the solution, allowing the separation of application and content management. This resulted in significant savings in time and cost of introducing new promotions and events. The kiosk application is managed via Livewire’s hosted eConcierge Server software, providing a web-based dashboard to maintain and distribute all of the local attraction and event details. The Visitor’s Center is now able to update information, events and promotions on the kiosk in a timely and efficient manner, allowing tourists to get the most up-to-date local information at any time while visiting.